You wouldnt pour chip fat into your engine, would you? Wise up. We have 5 Litre barrels of Oil .... not affected by the Middle East crisis! We, at Aceiterapia, take the liberty to promote our wide range of products, proud of our small hard-working production team, our qualified quality control staff, our committed network of olive growers in Inland Andalusia, our international outlook thanks to prompt deliveries but, above all, proud of the quality of our products. Based in the small rural town of Almedinilla, at the foot of the Sierra Subbetica and in the heart of Virgin Olive Oil, our family company stands on a dramatic backdrop of endless olive groves and snowy Sierras. 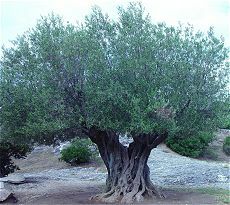 Our traditions are steeped in ancient History: the Roman invaders tamed the “acebuche” the local wild olive tree, and introduced their crop varieties to reinforce their native prosperity. They prepared their oil, adopting Iberian methods and found the nectar so delicious that Rome set a Trade Route, the Via Augusta”, to ship the oil in amphorae still found in the area but mostly in the Italian capital, exclusively from Andalusia. Indeed, our ongoing archaeological digs reveal the millennial uses of Olive oil, proving its power and benefits in food, general health and cosmetic products to this day. An Olive oil is like a good wine: 3000 hours of sun, year long care, painstaking harvest in steep hills and only mechanical production: Aceiterapia offers customers a premium Extra Virgin Olive Oil, first press or second press, and Olive Oil products. Multi-award-winning, with its AOC label, our oil is world renowned. Indeed, our olives are hand-picked, from the Picuda, Picual and Hojiblanca varieties for a wide range of subtle to strong taste, as customers wish. At Aceiterapia, we have developed over time a range of complementary products for both culinary and personal care, using ancient recipes but strictly modern quality and hygiene criteria and a superior laboratory. The Spanish are the olive oil connoisseurs, consuming it daily and it is omnipresent in cooking, medicine, personal hygiene, furniture making and even heating! The proven benefits of the highly-recommendable Mediterranean Diet appear in every health journal or easy-reading magazine: olive oil, with no cholesterol, a very low acidity and cancer-preventing amino-acids, is the foundation of this diet. Most of the time, however, health comes at a price: we, at Aceiterapia, pledge to be competitive without compromising on the quality of the product or the service. We would be delighted to send you samples, an exhaustive catalogue together with a complete profile of our company and the oil making process: if you are interested, please indicate a suitable posting address and contact name and we will duly forward your required pack. Olives are picked every day and are processed straight away: it is the nature of our work, to be available all week, from sunrise to…well past sunset!